Dragonfly Sweetnest: Feel Great with Lavanila Grapefruit! Feel Great with Lavanila Grapefruit! Did you know one grapefruit contains 100% of your daily vitamin C? The power fruit has also been proven to prevent weight gain, arthritis and even cancer. This is all fantastic for your insides – but what about your exterior? 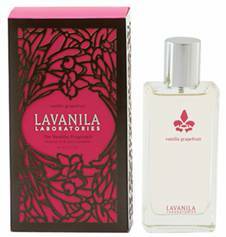 Lavanila Laboratories The Healthy Grapefruit Collection uses the same fruit to help keep your skin smelling, looking and feeling great! This All-Natural, freshly scented deodorant provides superior, long-lasting odor protection. Clinically Tested. Dermatologist Recommended. No Aluminum. No Paraben. No Propylene Glycol. Infused with everything that's good for you and absolutely nothing that’s not, The Healthy Fragrance is changing the way you spray.